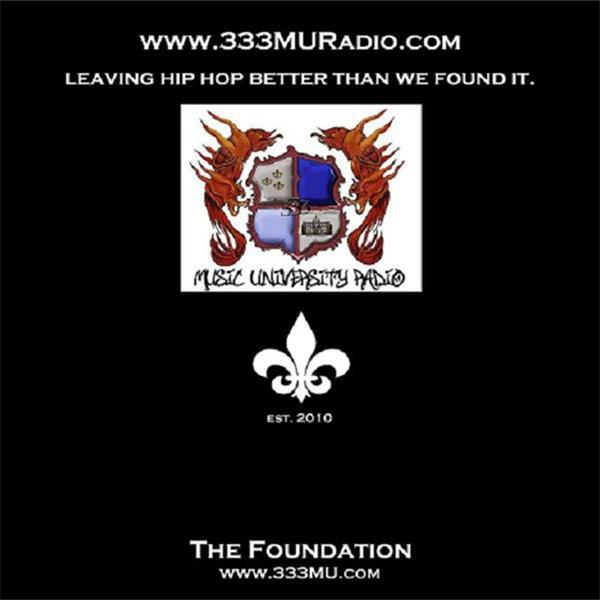 333 Music University Radio is a show with a campus radio type feel. We play music from artists you may or may not have heard of. We stay away from the mainstream music because the mainstream radio stations are oversaturating the airwaves with that anyway. We're a breath of fresh air. A break from the normal day to day rap music. Most of the artists we play are unsigned & independent. We feature hip hop in it's purest form. Come hang with ya boy Sandman aka Rollo Lawson. Peace & blessings. I'm finally back!! After a month and a half hiatus to tend to some personal matters, ya boy is back with more of the real hip hop I know you've been wantin'! Let's not waste anymore time. Let's get it in! Peace! I'm back with another great show. New joints from D Francis featuring 5th Child & Lok Akim!! Let's get it in! Peace! R.I.P. Geronimo Pratt & Gil Scott Heron Thank you for all you did for our people. Salute! Comin at y'all with the new hotness!! Let's get it in! Peace!